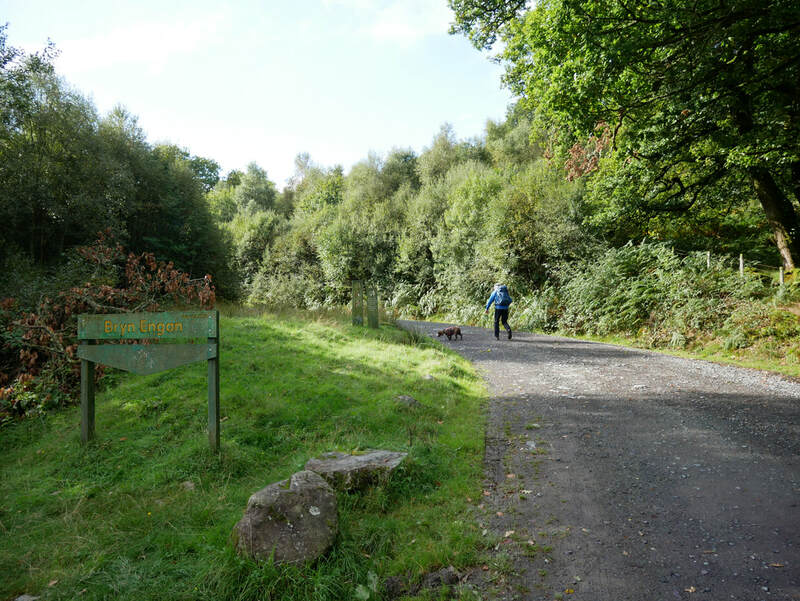 Good mountain & woodland paths. 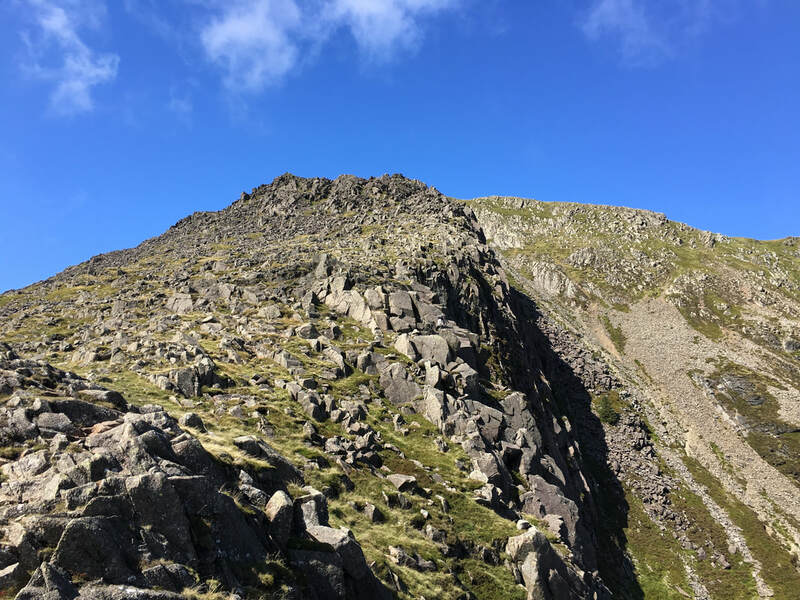 There is a sustained scramble up the Daear Ddu ridge to the summit. 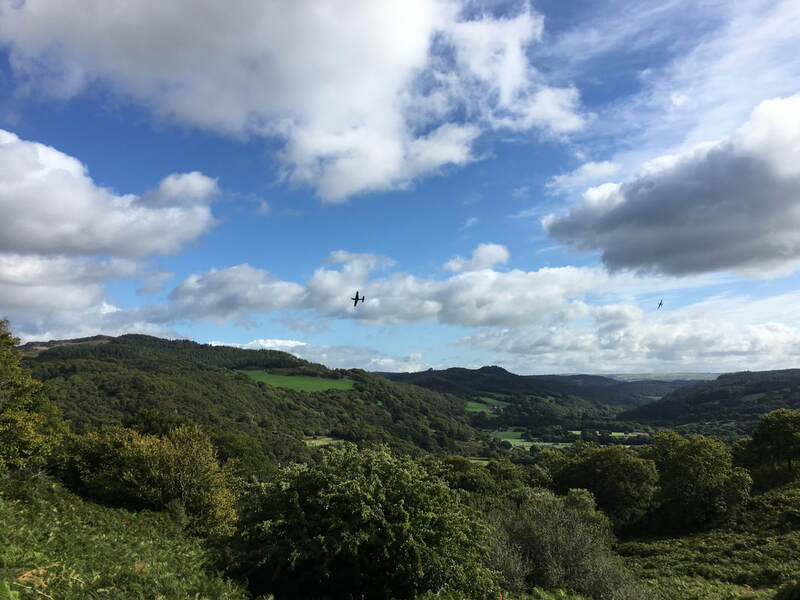 Mild & sunny with gentle breezes. 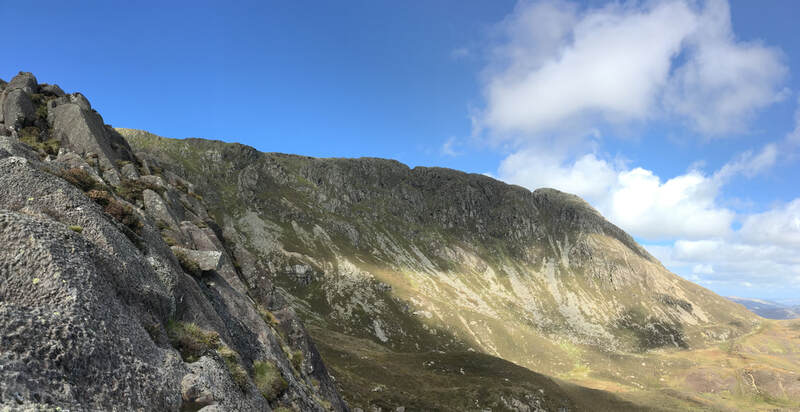 The visibility today was excellent. 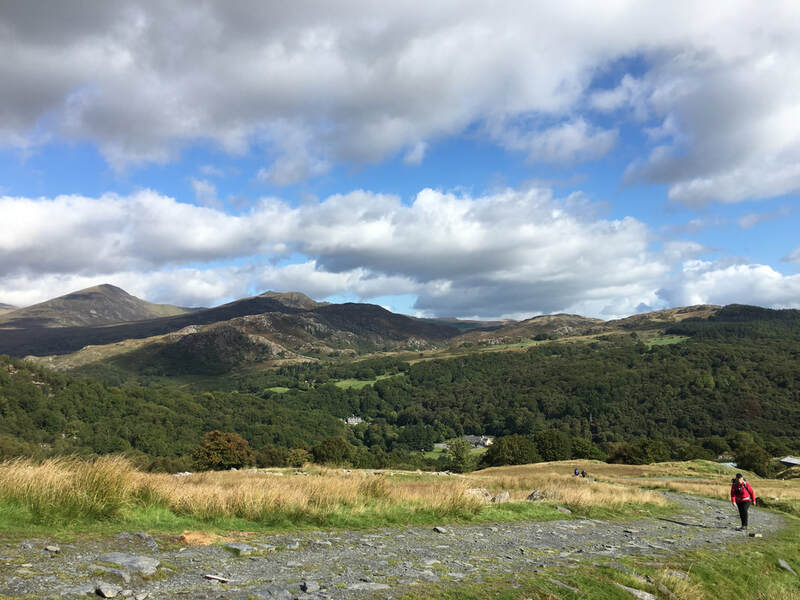 It is always great to be back in Wales - whilst our home is now in Cumbria we really did enjoy our time living here and visited Snowdonia often. 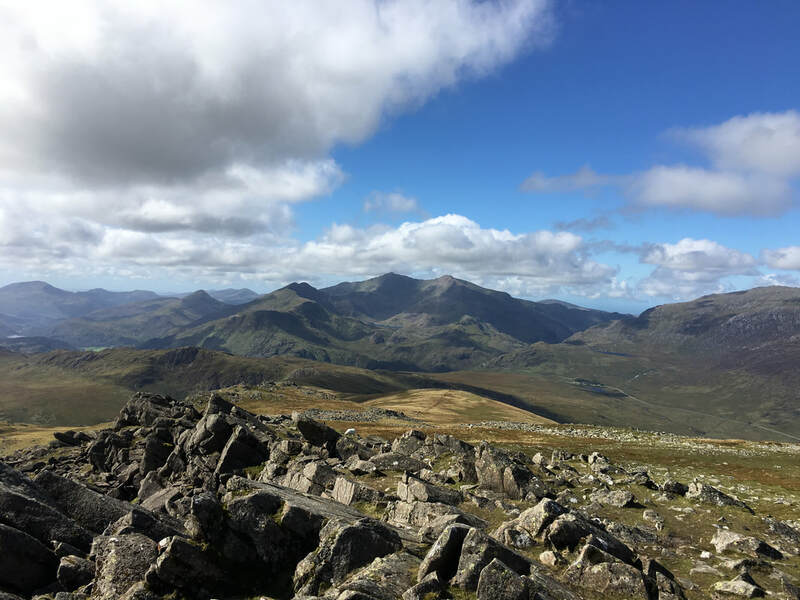 You cannot compare the two areas of Snowdonia & the Lake District although many people try and pick out a favourite between them - in my eyes it is impossible. 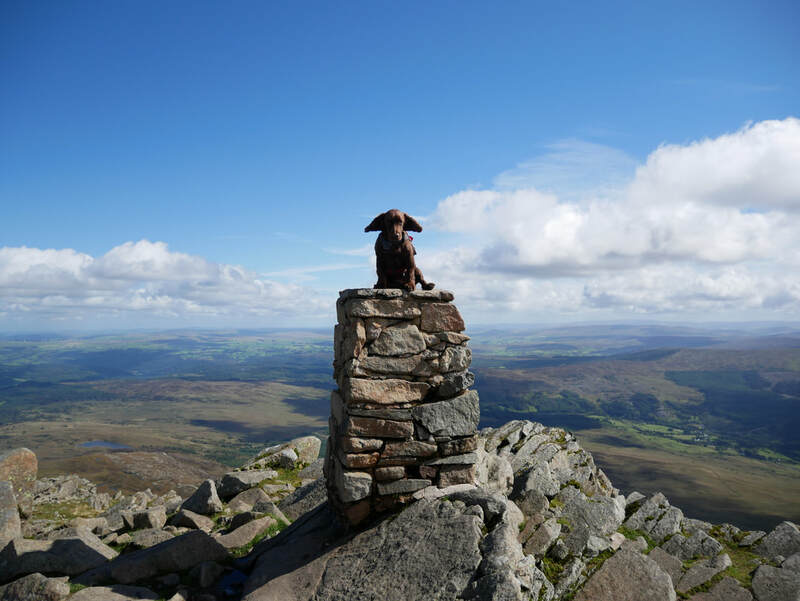 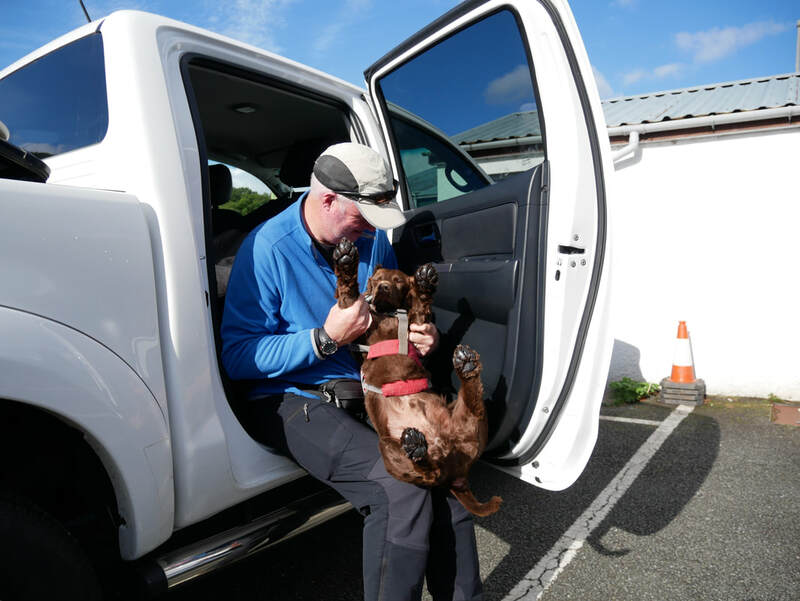 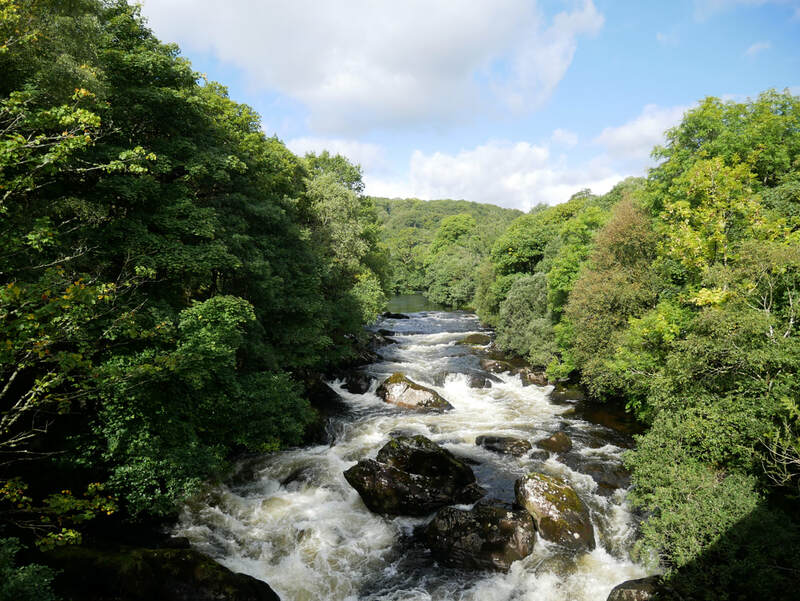 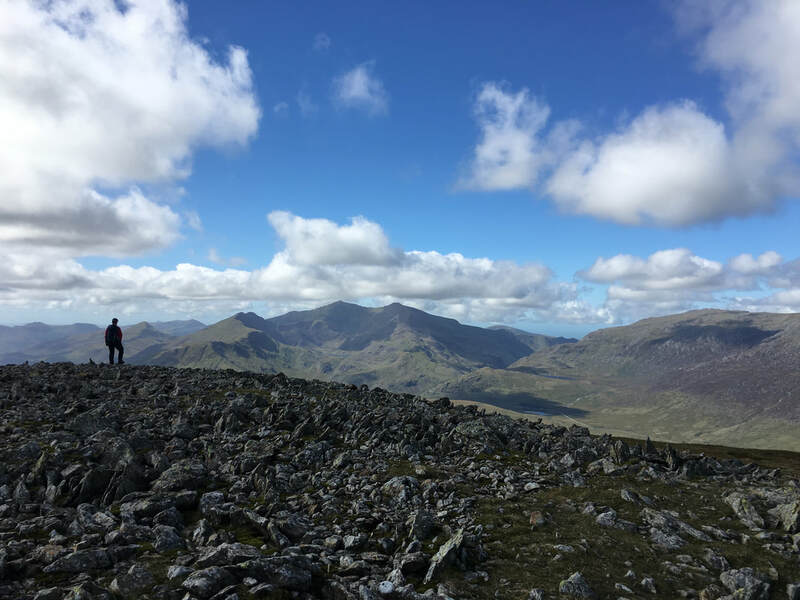 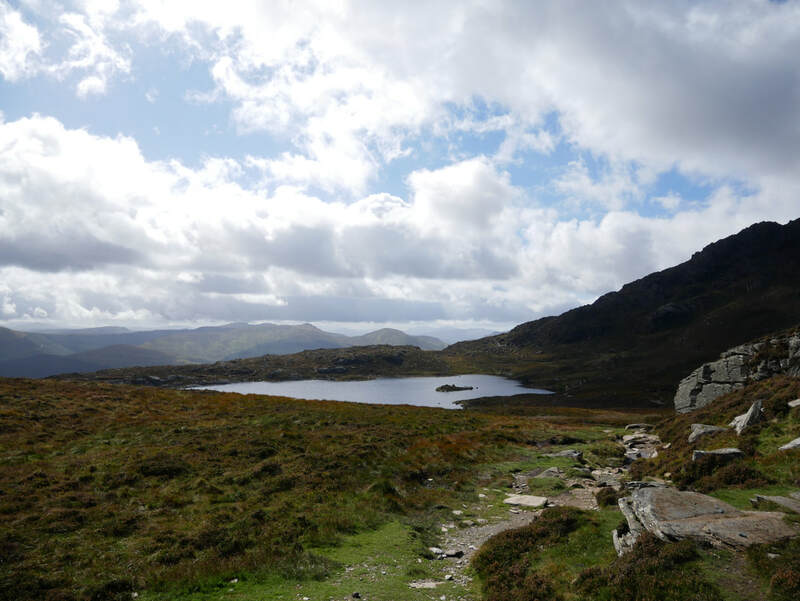 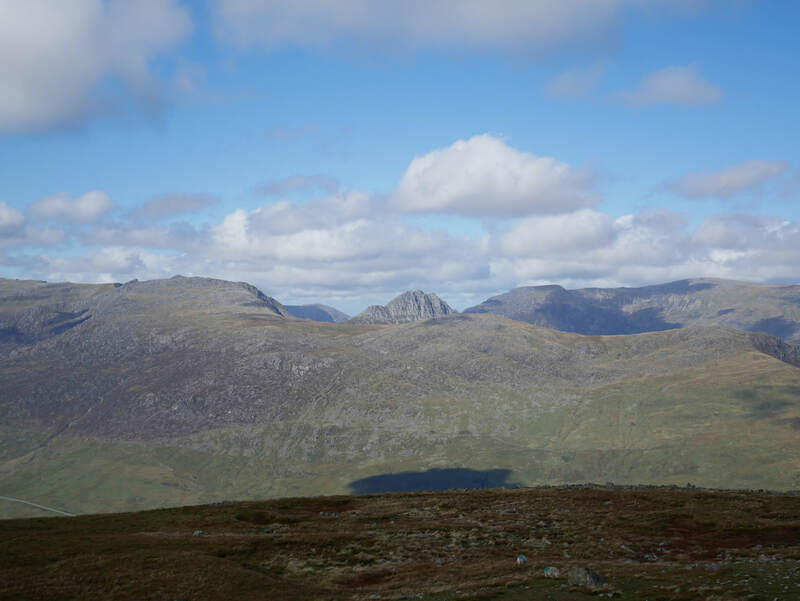 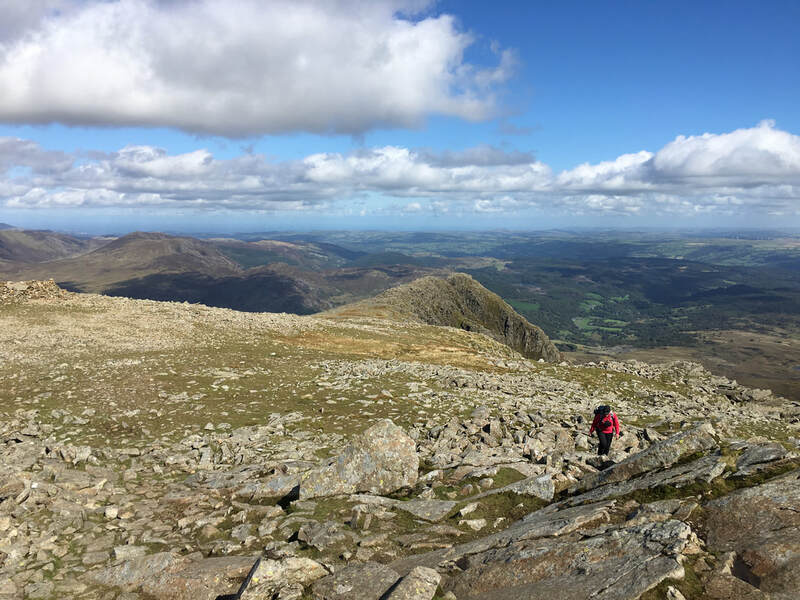 Both have superb climbing & walking in abundance and whilst to some Snowdonia may appear less busy than its Cumbrian counterpart, there are hotspots in both areas and on the other hand quiet areas where you can see nobody all day. 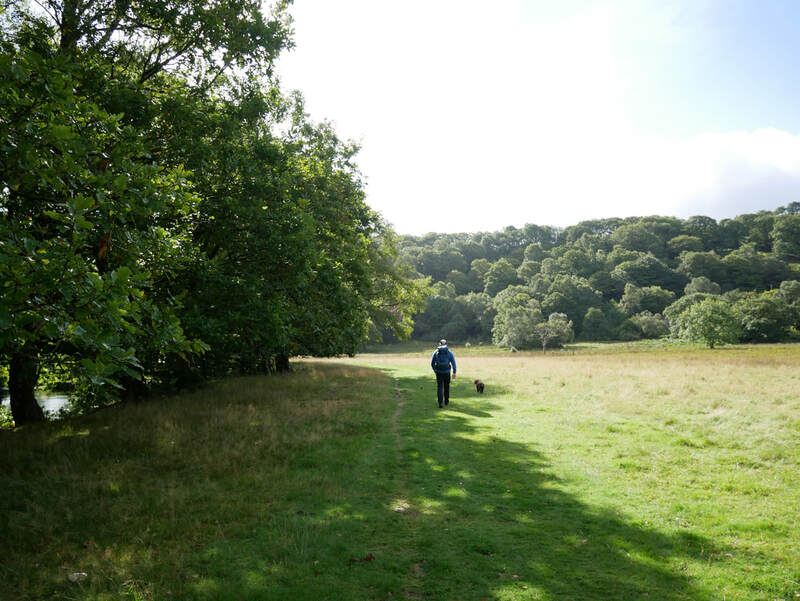 Today we were walking a route we have done several times and one that we never tire of. 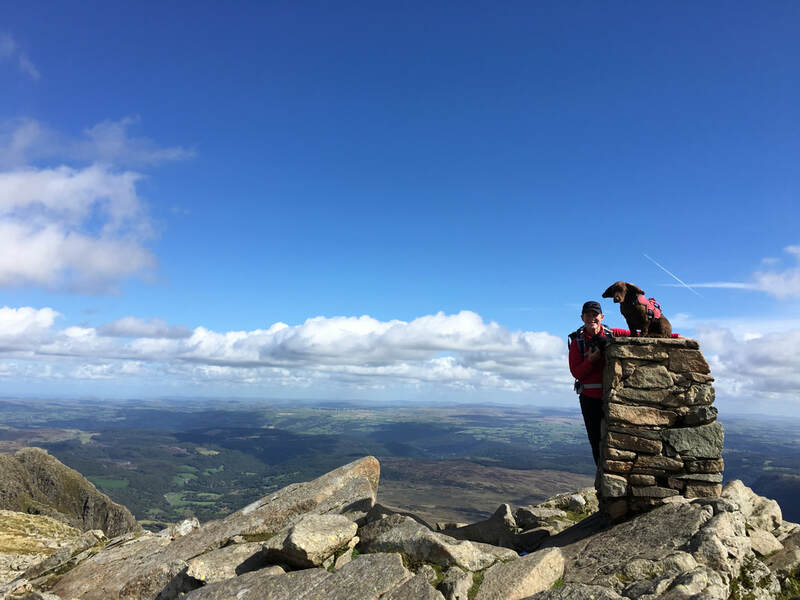 Moel Siabod is in an exposed outlying position affording it excellent views of the surrounding mountains, particularly the Snowdon Range, the Glyderau & the Carneddau. 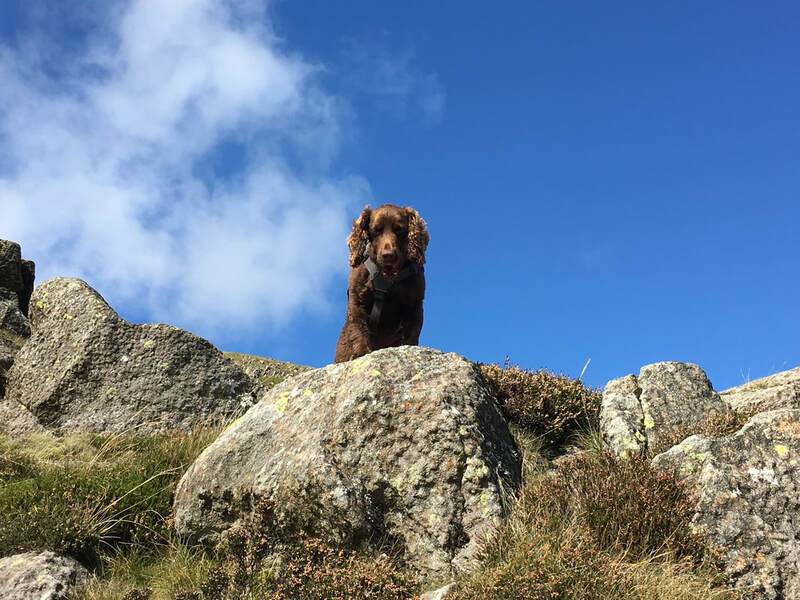 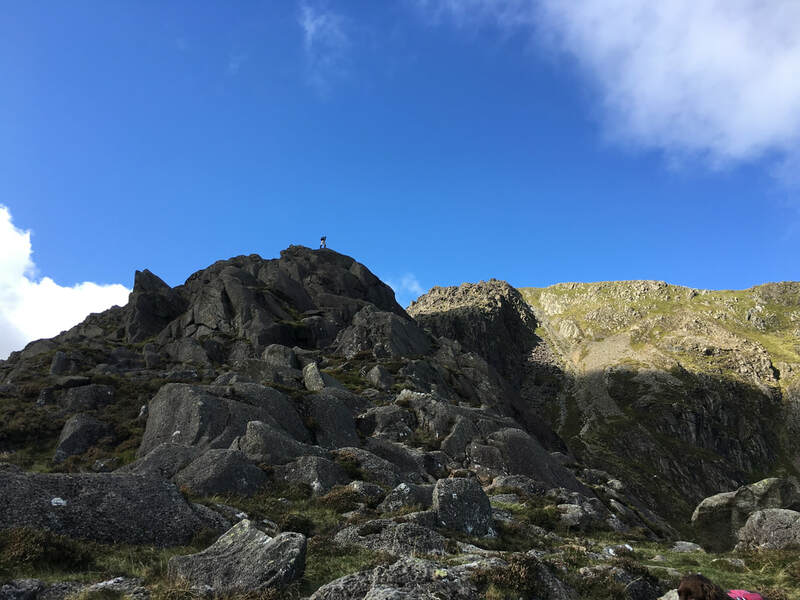 ​Easily accessible from Capel Curig, it is rugged, has an exhilarating ridge climb to the summit and an industrial past in the Rhos Slate Quarry - it is a great mountain!! 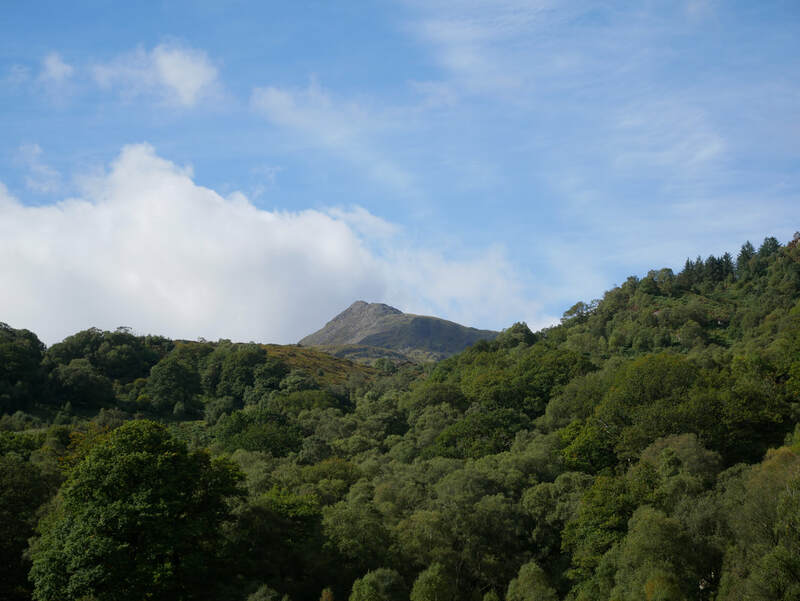 There are plenty of parking options in Capel Curig however we always use the Siabod Cafe and after a hearty breakfast there we asked permission (as we always do) to leave our car there for the duration of our walk - the Siabod is a real walkers cafe and is dog friendly serving superb fare all day. 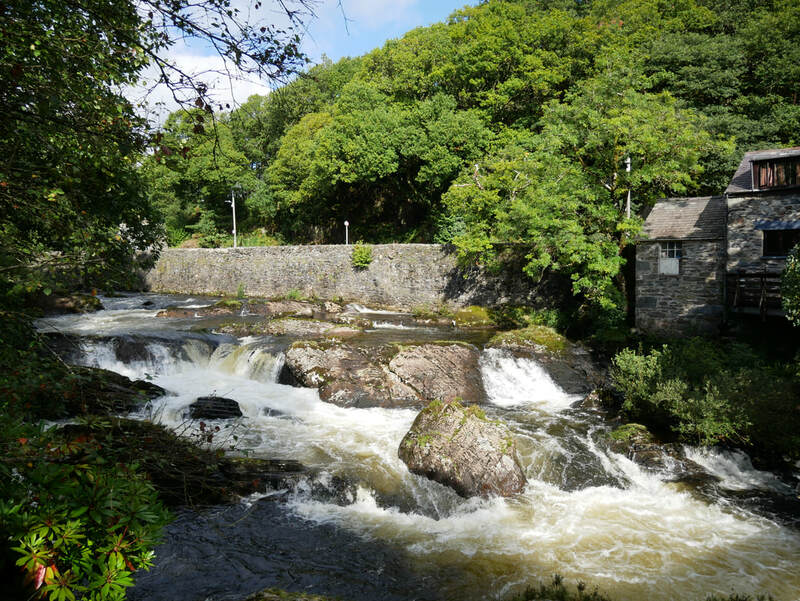 From the cafe the route headed into Coed Bryn-engan to follow a good track and over farmland to reach the bridge over the Afon Llugwy - take a moment to look at the falls here. 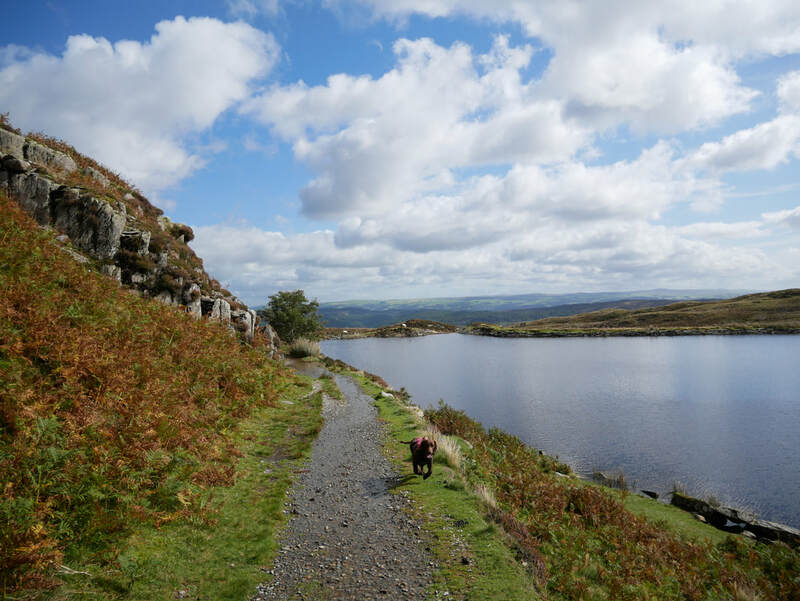 Just after the bridge the path heads off right and starts to climb immediately, shortly reaching Rhos Farm before continuing to climb to the Rhos Slate Quarry ruins. 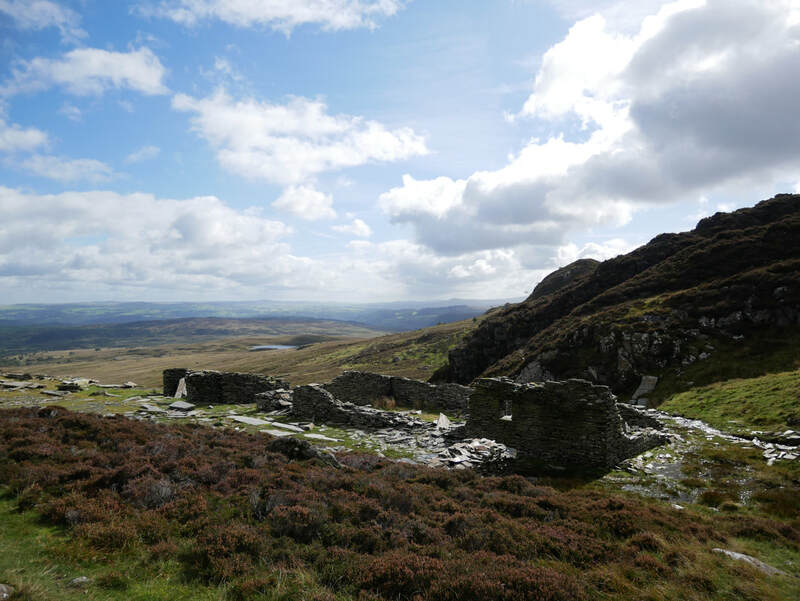 Leaving the ruins there is now a gentle incline around to the idyllic and isolated Llyn y Foel. 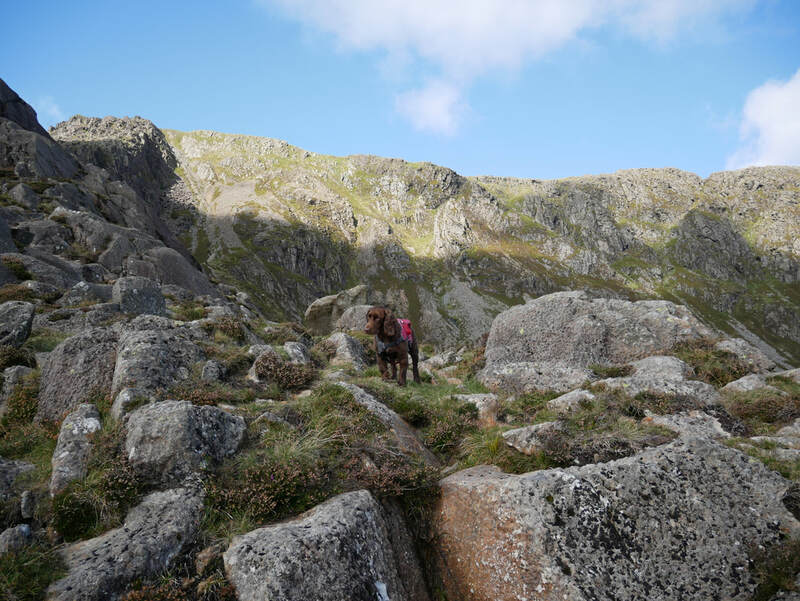 Leaving the Llyn there is a choice of two routes - either make a beeline for the ridge or head slightly right and scramble up the scree slope, cutting off a small portion of the ascent but not much. 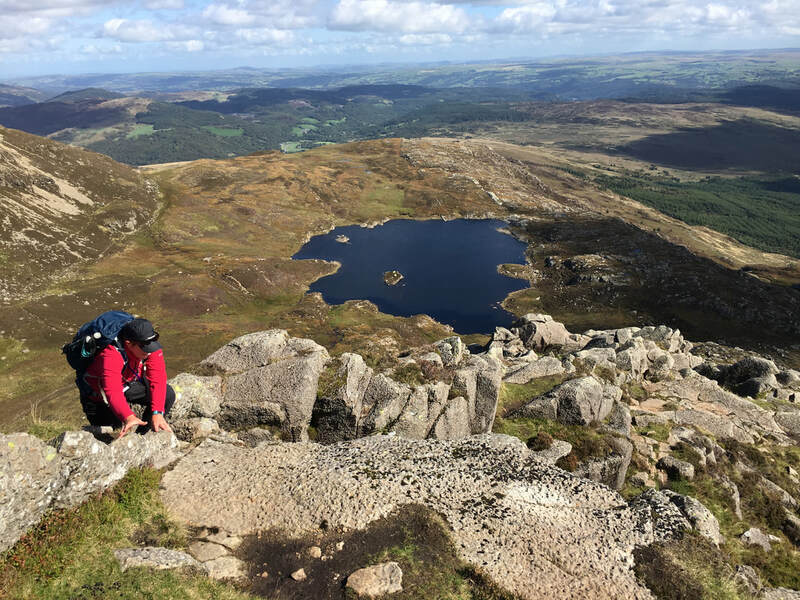 Today we were off up the Daear Ddu ridge - an exhilarating scramble up exposed rock for the most part but never feels dangerous. 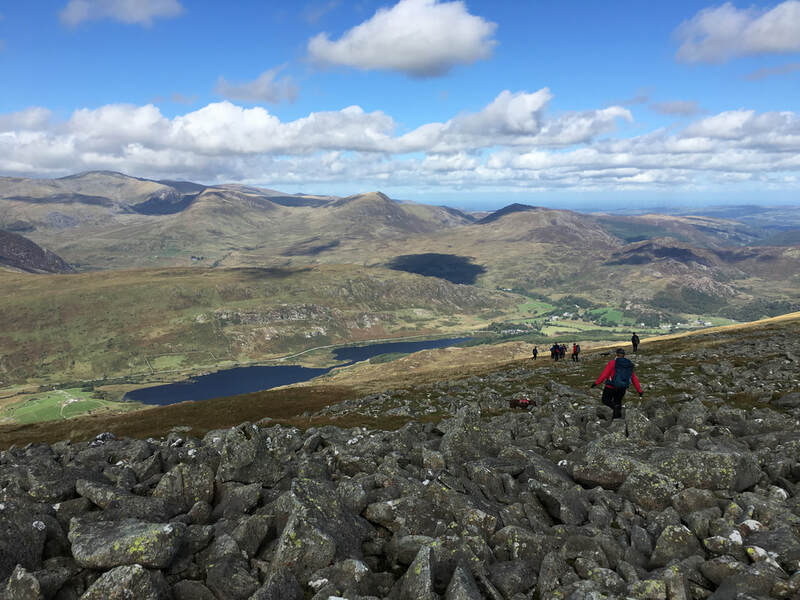 Reaching the summit the vistas over the Snowdon, Glyderau & Carneddau ranges open up far and wide - it is a fantastic viewpoint. 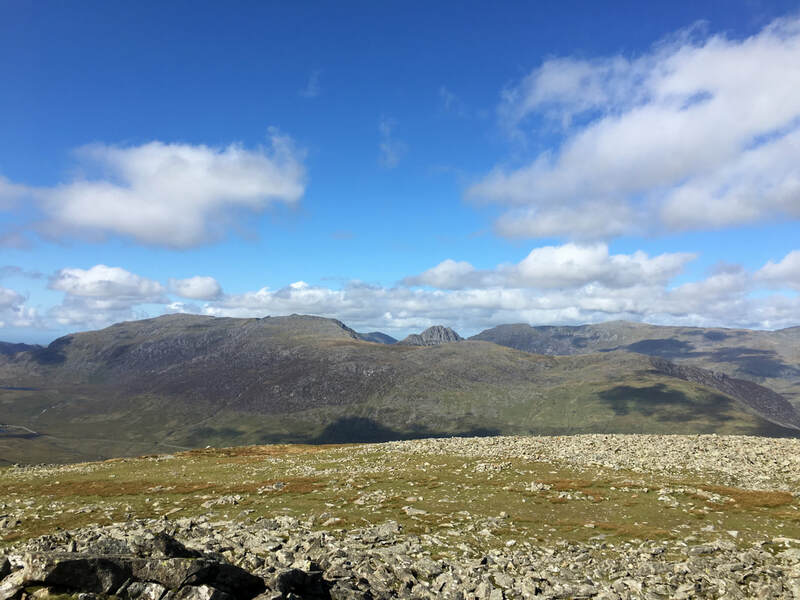 From the summit we walked northeast to the edge of the ridge to then descend over rocky terrain that then meets a path coming in from the left. 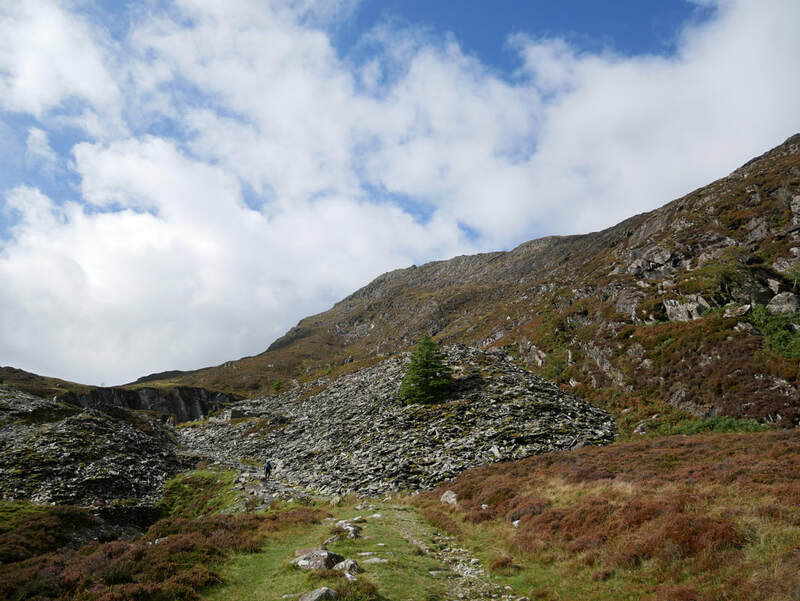 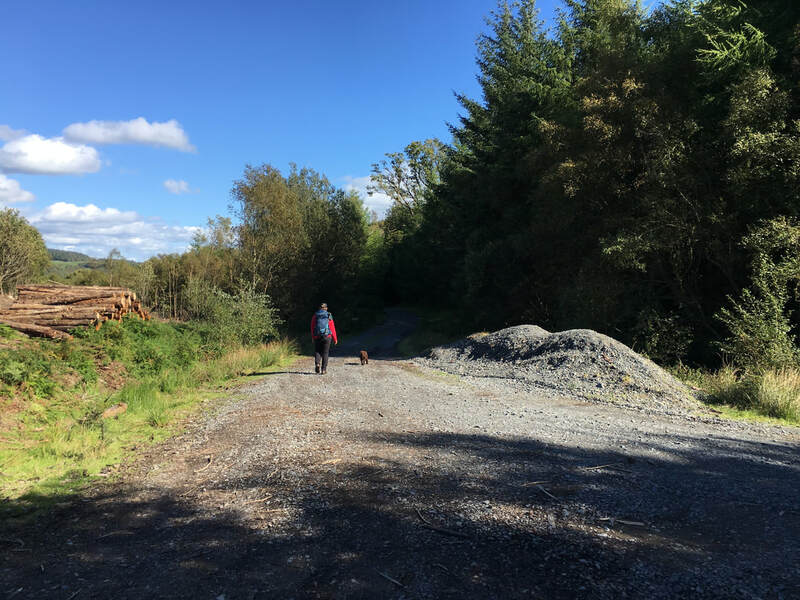 This path is then followed to reach a track leading to Coed Bryn-engan - it is now a simple case of following the track to finally turn left for the Siabod Cafe for a well earned piece of cake and a nice cool drink. 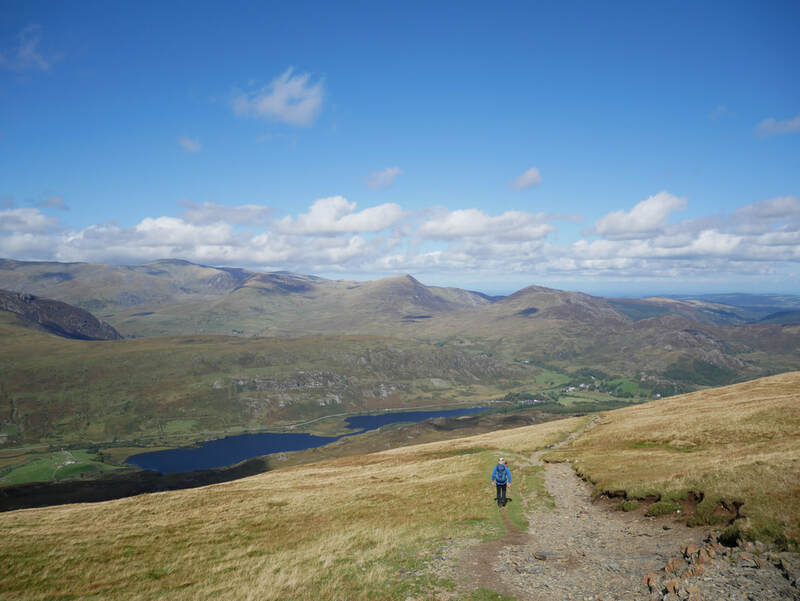 Another superb walk in beautiful Snowdonia. 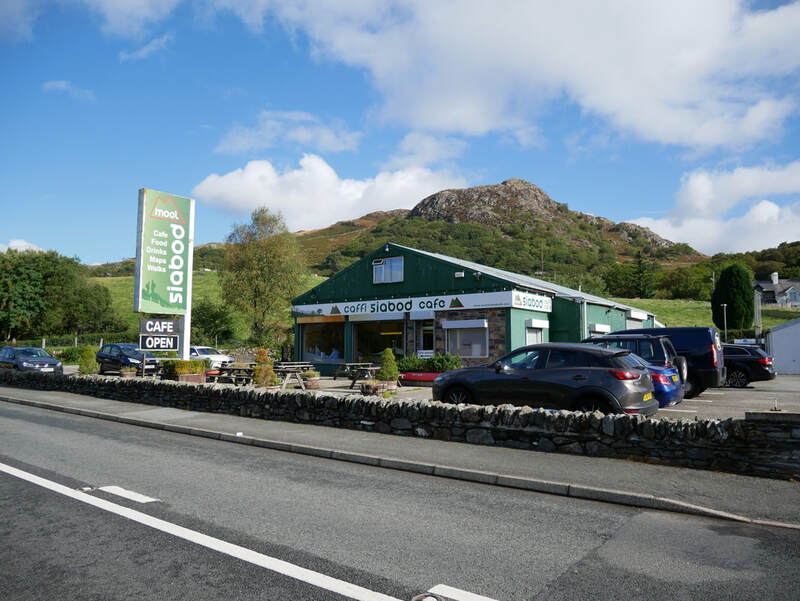 Siabod Cafe on the A5 at Capel Curig - the start point for todays walk. 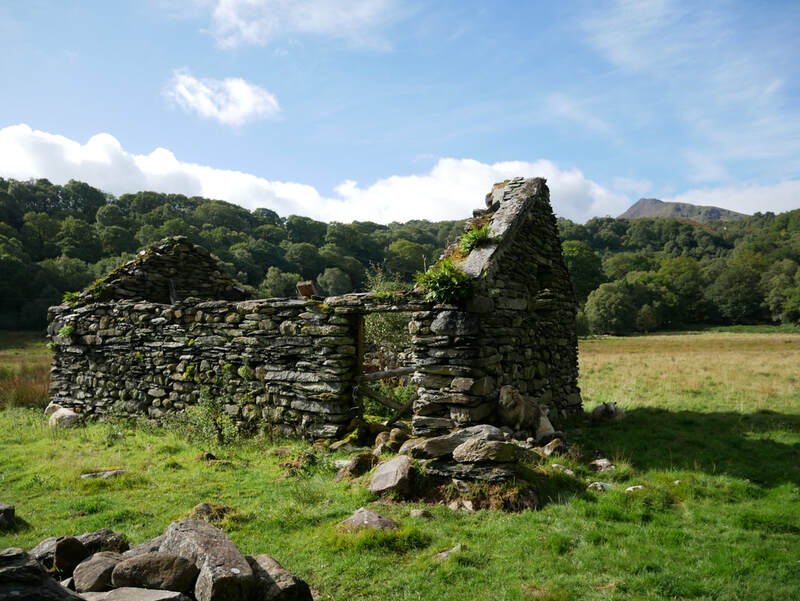 ​We had an excellent breakfast here before the start and asked permission to leave our car here. 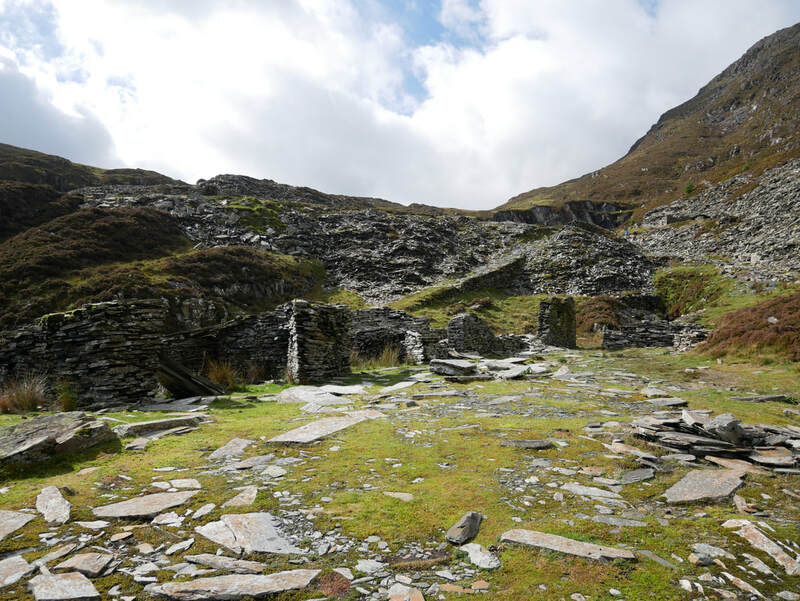 As we headed South West we came under attack from "bandits at 3 o'clock"
Passing the former Rhos Slate Quarry buildings. 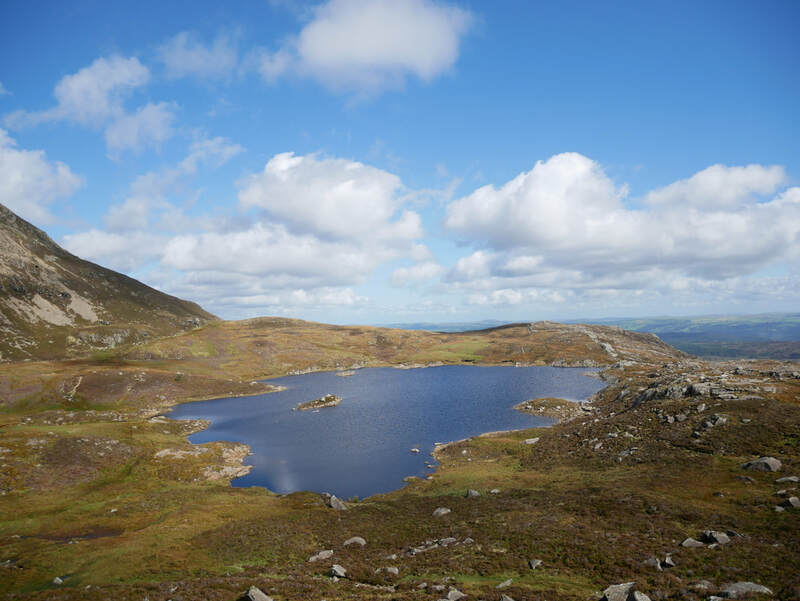 The Daear Ddu ridge from Llyn y Foel. 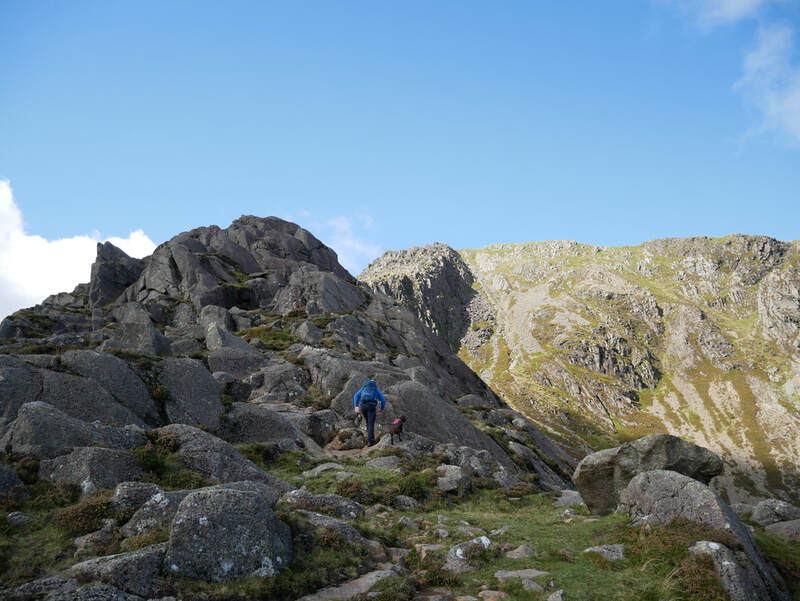 There are two ways up - either climb the ridge from the left or take the faint path through the middle near the loose stone. 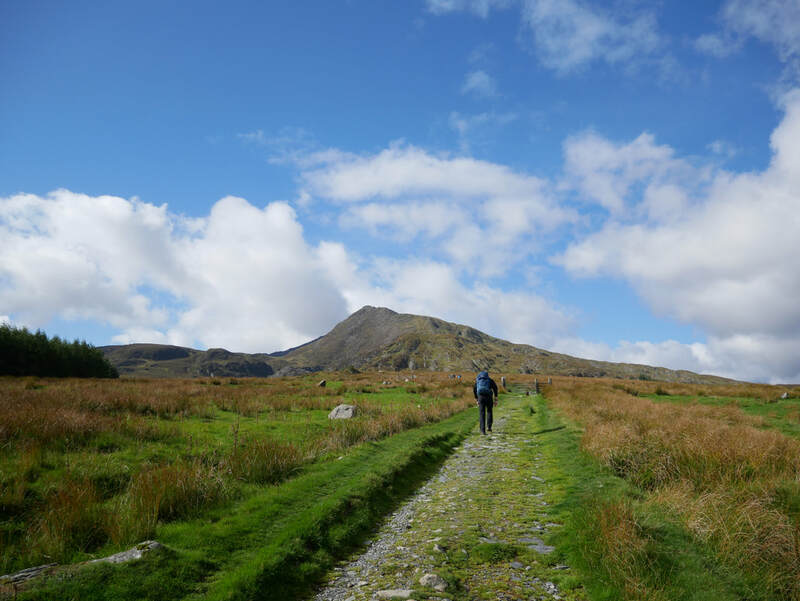 Either way is an exhilarating scramble. 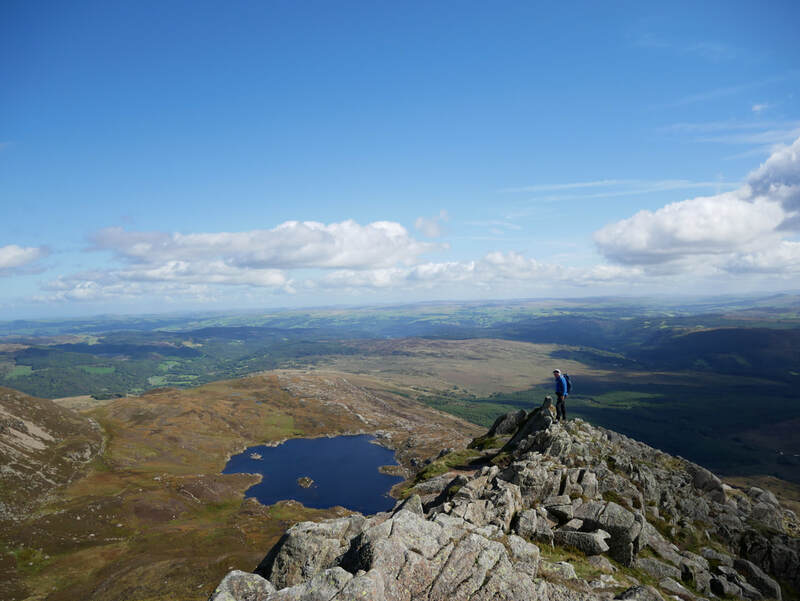 On the summit of Moel Siabod. 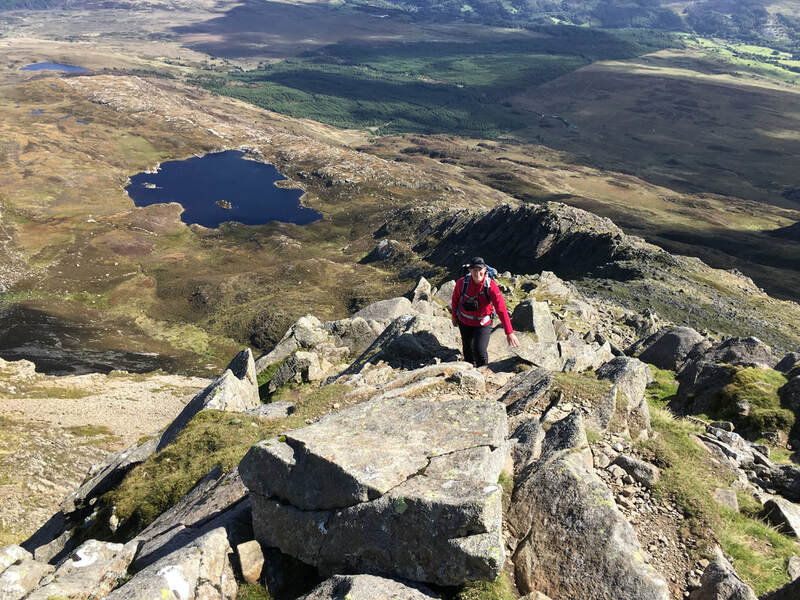 Descending Moel Siabod back to Capel Curig with Llynau Mymbyr below. 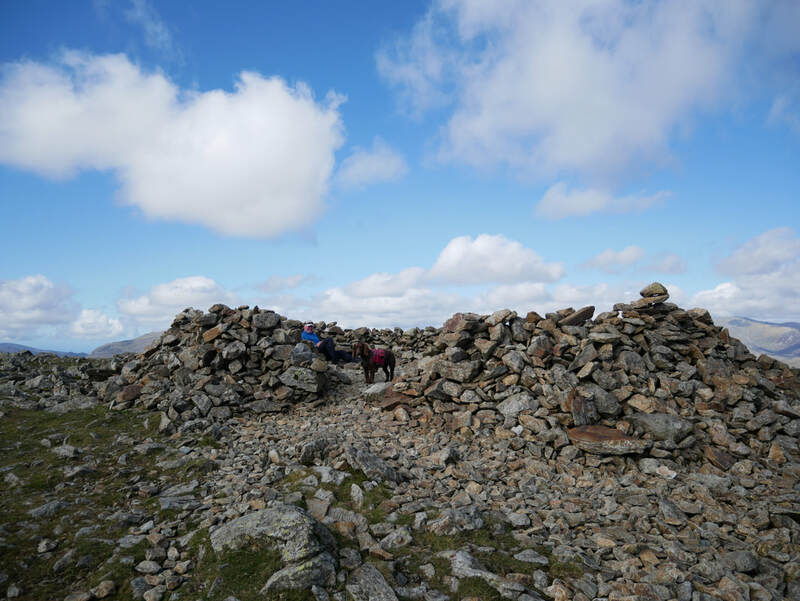 Ahead of us are a group we got talking to on the summit - all prospective Mountain Leaders in the military who were out on assessment. 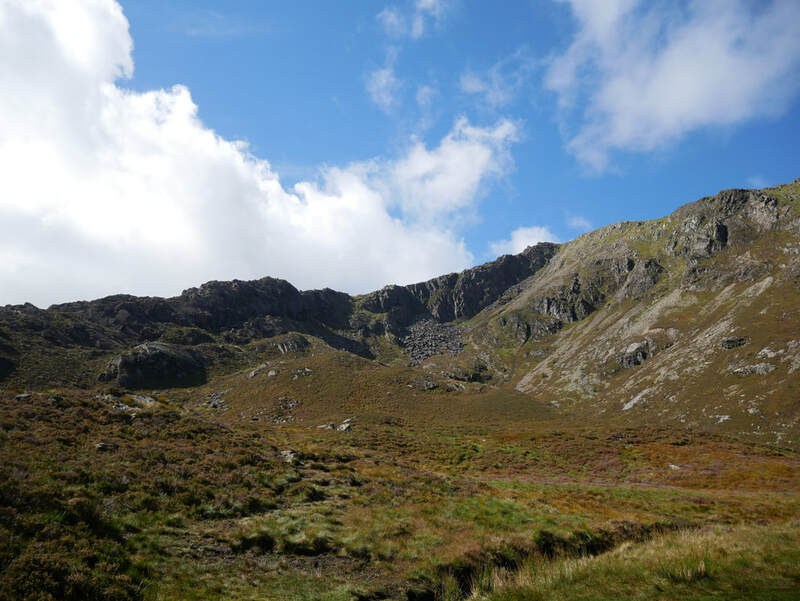 After an initial rocky transit the terrain and gradient eases as Capel Curig is approached.